Hollie Stonehouse: She looks happy and healthy enough, but in fact she suffers from a highly debilitating condition that your Tory government simply doesn’t understand [Image: The Gazette]. The DWP has provided its standard off-the-shelf comment – that decisions are based on all the information and Hollie’s family can always appeal. The statement fails to mention the fact that the DWP does not acknowledge variable conditions. A claimant can be unable to move one day, but if it is possible for them to function in any way on another occasion then they are perfectly healthy as far as the minority Tory government is concerned. It is a nonsense, and it ruins lives for the sake of a few farthings. But then, they’d probably say it was a fabrication of the social media. That’s the Conservative welfare state for you. The mum of a brave little girl who needs chemotherapy to treat severe childhood arthritis has told how her daughter doesn’t qualify for disability allowance. Since the age of 18 months, little Hollie Stonehouse, from New Marske, has suffered from Juvenile Idiopathic Arthritis (JIA). 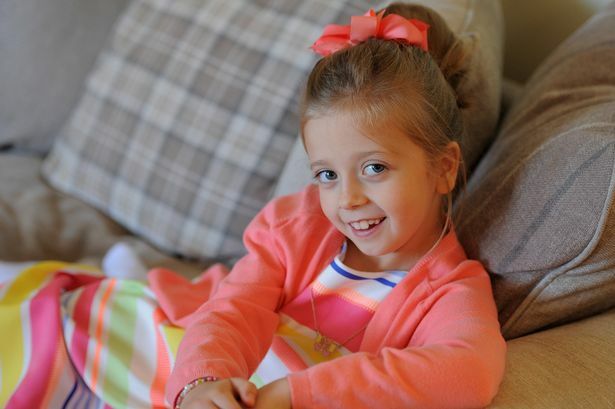 The disease, affecting around 12,000 UK children, is so severe in seven-year-old Hollie’s case, that it leaves her unable to move on mornings and requires chemotherapy drugs to treat it. In November last year, Hollie’s JIA appeared to be in remission and in March this year all disability benefits, including carer’s allowance paid to Hollie’s mum, Andrea Keenan, were stopped. But Andrea, 48, said that Hollie’s arthritis came back “with a vengeance” just before Christmas. Andrea – who works night shifts as a support worker to fit around looking after her daughter – still receives no help from the Government. “The saddest thing is she can’t even get disability allowance,” said Andrea. “Because she gets her medication in the hospital and, on good days like today, she can be up and about, they say she’s not eligible. Sick people are being put in danger by the actions of this vile government and if we don’t do something about getting rid of it many will die through their irresponsibility. They just don’t want to understand or even know. One only has to remember the way Cameron shamelessly exploited for electoral gain his own severely disabled son to realise they just don’t care a fig for anyone else’s misfortunes. I really sympathize with her and I know how painful arthritis is believe me..
Hope they’re appealing against it..